Diabetes affects millions of people all around the world. It is a disease that does not discriminate. No matter your age or gender, diabetes can hit. It requires diligent, constant monitoring of blood glucose levels, proper medication treatment, whether this includes oral pills or insulin. 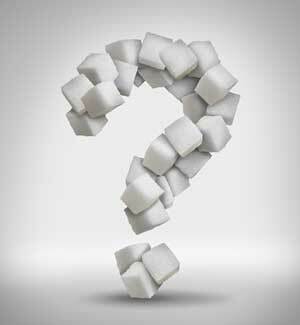 Proper blood glucose control is vital in preventing any long-term complications. It is a disease that by making a few ‘bad’ decisions when you’re younger, can leave you blind or worse when you get older. As you can see, this disease is difficult enough when you HAVE access to the medical treatments that help you manage it. These treatments include test strips, meters, insulin, oral medications, continuous glucose monitors, insulin pumps and more. But what happens when one day you wake up to find out your insurance company is denying your access to these treatments? This is a story all too familiar for many people around the world. Because it is a chronic illness that requires proper management and treatment, when access is denied, it can have devastating consequences. Sensitive Feet and Diabetes: Why My Feet Hurt? Having to deal with diabetes is challenging enough, but adding in there the navigation of the insurance process to get your life saving treatments supplied is truly a nightmare. In terms of insurance denials there are many different variables that need to be considered in determining your plan and what supplies are covered. Unfortunately, it isn’t enough to just have your doctor prescribe it. Here is a short guide on what you can do if you’ve been denied access to a device or supplies that you have been prescribed. If you haven’t received this letter, you will want to contact your insurance and find out if the supply or device request has been process. If it’s denied: wait until you receive your letter. Pharmacy Issue: Your item may be listed under your pharmacy benefits instead of your DME. Be sure you call your insurance company and speak to the pharmacy division. Ask them if your supplies are covered under the Pharmacy portion of your insurance. Distributor Issue: Sometimes suppliers will say that your devices are not covered because they are not under contract to supply the devices. You will need to choose a different supplier that is contracted under your DME in this case. Your insurance will be able to provide you with the suppliers that are contracted. 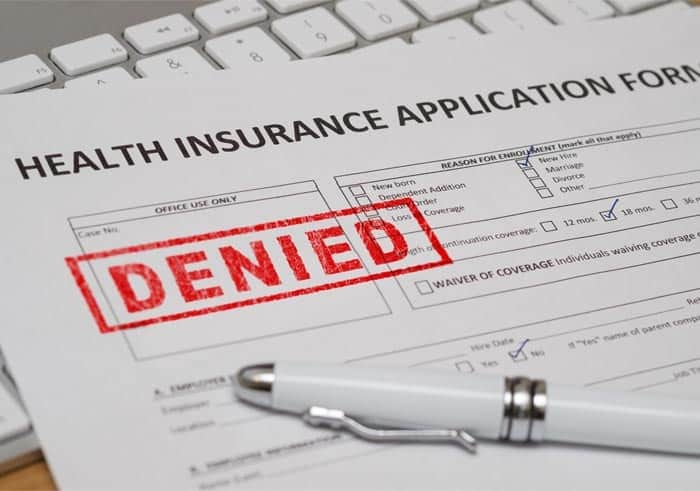 Here are the steps to take when you are denied coverage by your insurance company for a treatment option whether medical supplies or diabetes devices that your doctor determines to be medically necessary for you. If the reason for your denial doesn’t seem to support the information on your medical records, it really could end up being your medical records that are the problem or not quite accurate. Ask your doctor to take a look over your records then resubmit your claim on your behalf. Sometimes devices are not covered because “hypoglycemic unawareness” wasn’t listed. Find out if your doctor can write you a letter of medical necessity for the supplies or device. This is important to try to get done ASAP as it will help to strengthen your argument for coverage. This process is when your doctor talks with another medical professional (typically one from the insurance company) to explain why these items are medically necessary for you. After their conversation is completed, you should know within a day if you are approved by your insurance. It’s important to understand that an appeal process can take some time and that this may only be the first step. Many insurance companies hope that you will give up during this time because of the wait, but DO NOT give up. Review your insurance company’s guidelines: Review their guidelines on why supplies or devices are denied. Sometimes they are denied to specific age groups, or other guidelines. 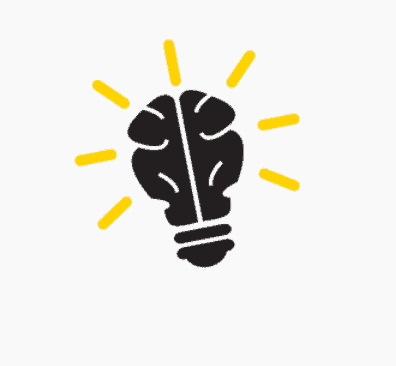 Research: Look for research that will help to support your claim. This can be from sites like the ADA and even the websites of the manufacturer of the device or supplies you are trying to receive. Learn Your Local Laws: In the United States there are laws in each state on diabetes care and what cannot be denied. It’s important to research the laws where you live to find out exactly what they say to help support your claim. Write Your Appeal: Once you’ve completed your research it will be time for you to gather up your references to help support your claim and then fully write your appeal. Determine Your Tone: You will want to think about how you want to address the person that will be reading your appeal. Don’t write it as an individual who is sick and tired of having to go through this process, but as an advocate. Use Professional Writing: Try to write in a clear and concise manner, consider using the medical terminology that you came across when you did your initial research. The more it sounds as if a professional wrote it, the better chance you have at being taken seriously. 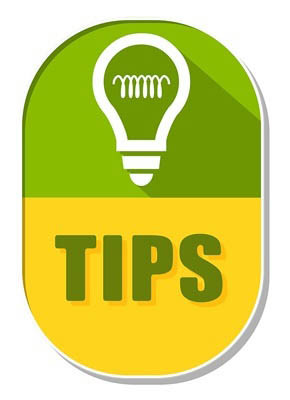 Organize all Information: Ensure you break down your information in paragraphs, you can even use bullet points to provide greater detail and evidence on what you discovered during your research. Appeal Introduction: Include your case number and the item that has been denied and why you are appealing the denial. Detail of Denial: Make sure you give the details of why the company has denied your item. Explain the Purpose of the Device/ Supplies: Explain what these items do and why they are beneficial. Research: Provide the research you found to support why this item is medically necessary. Personal Medical Data: This data can include things like frequent hypoglycemic episodes, or previous A1c data. Explain the Situation: Remember to avoid any words like ‘convenience, or easier’ when you are explaining the situation. You want to explain it in a way that it is medically necessary not just something to make your life easier. Complications: Be sure to discuss the short and long term complications in detail and how the device/ supplies will help prevent these. Conclusion: Wrap up your appeal in a way that everything ties together and be sure to thank them for their time and attention to the matter. After a month to two months you will either be approved or get denied again. If you didn’t get an external review which is a review that is done by someone not in your insurance company, then you should keep on appealing and not give up. Young children with Type 1 diabetes are getting denied life-saving supplies and devices at an alarming rate from insurance companies. Typically, the reasons for these denials are that the requested supplies or devices are only for convenient purposes more so than for therapeutic purposes. The problem many parents and medical professionals of young children with diabetes are having are that these supplies and devices could help to enhance the treatment of young children as well as ease the worries and fears of parents battling this disease right alongside of their children. Throughout the United States many private insurance companies have got onboard with covering devices such as a CGM (Continuous Glucose Monitor) for young children, in fact as much as 95% of commercial insurance plans now cover it. Medicaid and Medicare have been two of the state issued insurance plans that have continued to deny CGMs one after the other. Thankfully, as of January 12, 2017 this may begin to change. The Centers for Medicare and Medicaid Services (CMS) Classified Therapeutic Continuous Glucose Monitors as a Durable Medical Equipment (DME) under Medicare Part B. You can read more about this monumental ruling here. But the jist of what is happening is Medicare will now cover therapeutic CGMs. To be considered a therapeutic CGM you must be able to make dosing decisions based on the data you see on the device without having to test your blood glucose levels with a blood glucose meter. The only system on the market that has FDA approval for dosing decisions is Dexcom’s G5 System. This is a huge step in the right direction for both older adults that could greatly benefit from the use of CGM’s as well as young children who rely on state insurance (Medicaid) or private insurance that follows Medicare guidelines (my children included). With this ruling CGM systems are still only going to be approved right now on a case by case, that means even though they are considered to be a durable medical equipment, parents and medical professionals may still have a difficult time getting children the coverage they need. With that being said, if you find that your child has been denied something that their doctor deemed medically necessary, there are certain steps you can follow to try to get it covered under your health insurance. 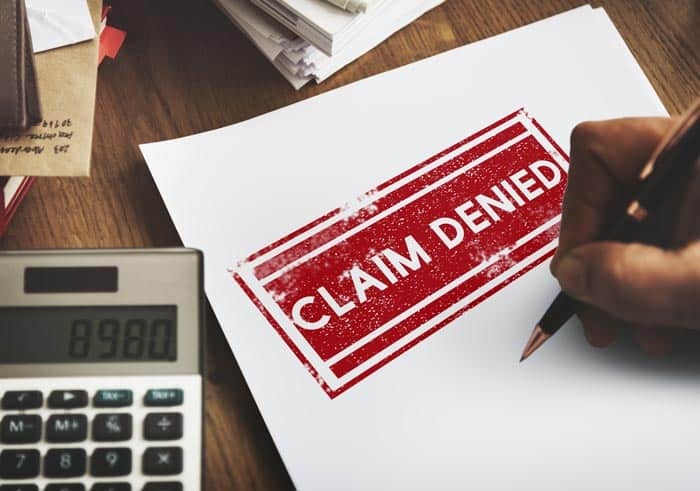 What You Should Know About Insurance Denials? 1. Most insurance plans, private, state, etc. require that your doctor request what a peer-to-peer review first. This has to be completed before you make any written appeals. Your doctor will have a conversation on the phone with a medical doctor in the insurance company. They will discuss why the item was denied and why it is beneficial. The peer-to-peer review may be successful for you and you won’t have to go any further, however they are only successful around 25% of the time. 2. Many states mandate that there is some sort of insulin pump coverage. However, they do not state that it has to be one of your choosing. You may need to follow through with an appeal if the specific pump you wanted for your child is denied. They may require you choose a different model that is lower in costs. This process can be won, but it may take some time and many appeals to succeed. It’s important to note too that not all insurance companies have come to an approval on the use of threshold suspend insulin pumps (those labeled as the artificial pancreas system such as the newest model from Medtronic 530g). This type of insulin pump can be much harder to fight and win a denial for as it is newer and doesn’t have the years of research behind it that many other types have. You can still appeal these devices though, but it’s important to keep in your mind that devices that have the threshold suspend feature were designed to work for both the pump and CGM technology. So to see the most benefits from it you would want to have both of these devices in use first. 3. You may end up hitting your max of appeals, and still end up denied. But do not fret. You can apply for the device or supplies again after 1 year occurs from the date of your original application. 4. State Medicaid insurance plans vary when it comes to coverage for the Dexcom CGM. There are usually various plan admins that are offered in each state, and each is NOT the same as the other. So if you do have Medicaid and have been denied for a CGM, check into the other plan admins or providers. While some do not have coverage for the device, others may with no questions. With state plans and even private insurance plans the medical policies are changing quite frequently, (See Above on the CMS, CGM decision) so even though you were denied previously, you may now be eligible. 5. Sometimes, no matter how hard you fight there is just no coverage at all. No amount of appealing will win you an approval. Some insurance companies do not have codes to cover certain supplies or devices in their policy, so if they do not have the proper code in the system, it will not be on the reimbursement schedule, and they don’t have any distributors lined up to provide those supplies. Appealing as many times as you can will not get it approved. If there is no code in the system for it to be approved, it will not be. 6. There is a good chance that many appeals will be approved. But it takes time and dedication that many people don’t want to get involved with, and that is what insurance companies are banking on. As many as 80% of people take their denial at the first stage and go no further, and that’s what they want. 7. Be sure to always include your doctor in any process. This only strengthens your case when you are appealing. After everything, you may still end up with a denial but you never know unless you try to fight. Don’t be discouraged if you get a denial, follow along to find out the process you can use that may end up helping you succeed with your insurance battles. After all, the bottom line is that if your doctor determined that these supplies were medically necessary for you or your child, then you should always try to fight to ensure you get the best possible care. Always be your own advocate. You basically just rewrote my entire blog http://Arceneauxfamily.blogspot.com post on So your insurance wants to deny you. This is not ok, I’ve dedicated years to helping those with denials and you couldn’t have given enough respect to me to ask for the content? I believe the major issue here is that everything posted on TheDiabetesCouncil goes through Copyscape.com for duplicate content issue and if an editor copied content from another blog. Running analysis on this url on Copyscape shows nothing. It’s impossible for us to manually read every single diabetes blog on the internet and then manually compare and contrast every single article if it was from another blog and site. Copyscape makes it a lot easier. You can visit Copyscape and run analysis and it doesn’t show any word or phrase on beyond1. If you are saying the content theme/topic is similar then that is a whole different thing, that would bring us into a whole different area of content. If you search Beyond1 they have tons of articles that are exactly like ours in tone/copy but that doesn’t mean they should stop writing or publishing content because someone else has done it. Go to Google and type “diabetes diet” there are millions of blogs and if you spend about an hour and go through the top 20-30 results you will find they are pretty much the same thing word for word. I understand topic similarities but that is all there is to it. If that is an issue then we will have to ask every single diabetes blog out there that basically copies every single topic we do in our style/format and even steal our format. I guess that wouldn’t make sense as long as they have not copied our content word for word and given Copyscape doesn’t show it was copied, we cannot ask diabetes blog to take their content down. I clearly understand you have dedicated your time to help people with diabetes, I am in this field for over 26 years now helping people with diabetes. Power to you and I support what you are doing, however when it comes to content given copyscape shows nothing was copied it’s hard to find what was published where and by who manually. We do not have the funds or resources to hire a team to manually search the internet for content similarities. Beyond1 and many other diabetes websites will have to taken 100s of their pages down because of similarities they have to our content.